From Dissections To Depositions, Poets' Second Jobs Great poetry almost never leads to great paychecks. Even award-winning poets need to pay the bills. Many teach, but others are doctors, scientists, lawyers, undertakers or even market analysts. In celebration of National Poetry Month, writer David Orr takes a look at the secret lives of poets. 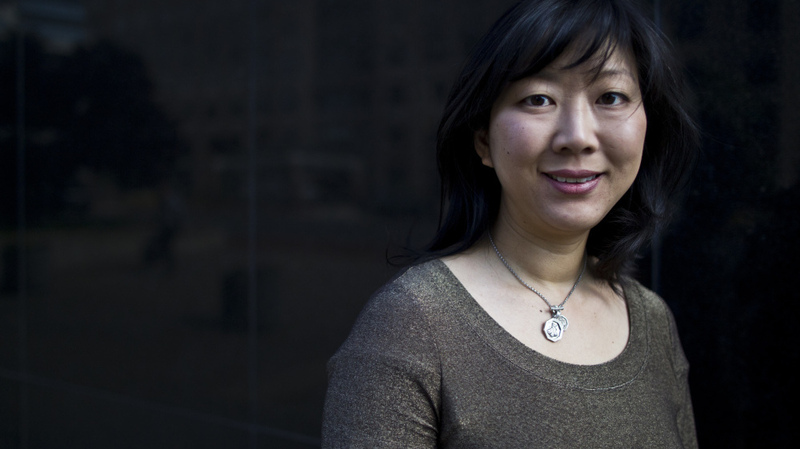 Monica Youn, who joined NPR as a NewsPoet last year, works as a lawyer. She says that poetry appears in law more often than you might think — but nobody calls it poetry. "No man but a blockhead," Samuel Johnson famously observed, "ever wrote, except for money." This is tough news for poets, since the writing they do is often less immediately profitable than a second-grader's math homework (the kid gets a cookie or a hug; the poet gets a rejection letter from The Kenyon Review). Poetry itself is tremendously valuable, of course, but that value is often realized many years after a poem's composition, and sometimes long after the end of its author's life. In the meantime, everyone has to eat. So unless you win the lottery, being a poet means finding a job that can support the writing of poems. Over the past few decades, that job has overwhelmingly involved teaching in university departments of English and/or creative writing. In the 2012 edition of The Best American Poetry, for instance, almost all of the 75 contributors have taught poetry in universities or earned an advanced degree in poetry, or (more frequently) both. Katherine Larson was a recent winner of the Yale Series of Younger Poets competition. 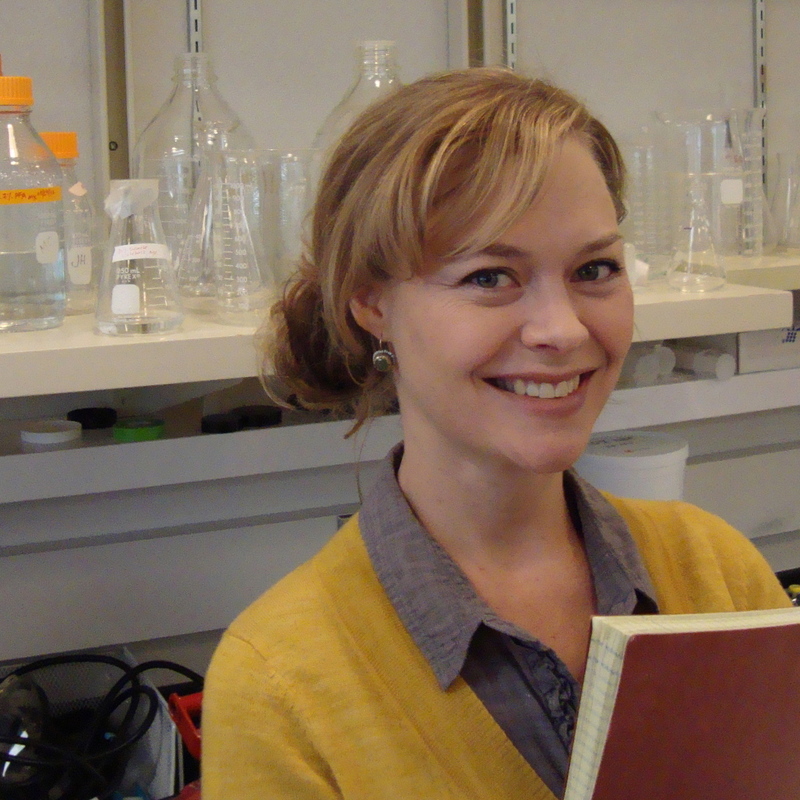 She is also a research scientist — specifically, a molecular biologist. But the university job is a relatively recent development in Anglo-American poetry. T.S. Eliot spent eight years in a bank and decades in publishing. Wallace Stevens was a lawyer and insurance executive. William Carlos Williams was a doctor. Philip Larkin worked in a university library, and Archibald MacLeish ran the Library of Congress. Charles Bukowski was, improbably enough, a postal clerk. There are still a few notable poets whose day jobs don't involve line breaks, though not nearly so many as there used to be. They form a tiny, motley tribe: lawyers, doctors, scientists, journalists, high school teachers, businessmen and at least one undertaker (the estimable Thomas Lynch). And while they face the same basic challenge as their academic peers — getting a good poem on the page — their nonpoetic work often shares an unusually complex relationship with their writing. One of the most obvious benefits of a day job is that it offers another lens through which the outlines of poems can emerge. The widely admired avant-garde poet Ron Silliman spent 24 years as an analyst in the computer industry, where his job "meant practical discussions over software policy and its impact on defense readiness with other governments, providing cash register support to a chain of several thousand fast-food outlets in China, helping many local agencies from making disastrous decisions, you name it." It would be a stretch to say that this unusual background translates directly into Silliman's richly patterned, constantly reconfiguring poems, but it would be equally wrong to see no relationship between those poems and his day job's requirement that he, as he puts it, "watch larger portions of the world from a variety of different viewpoints." Pieces by poets with unpoetic day jobs. In "Sabbaths - 1979, IV," the farmer-writer describes walking from cleared fields into wilderness. A singer-songwriter, cartoonist and defining member of the band Silver Jews, Berman writes both song lyrics and poems. A high school teacher, poet, painter and crossword puzzle creator, Whitehead wrote about his primary day job in "First Year Teacher to His Students." A radiation oncologist, Young says, "I don't believe I have ever used poetry in my medical practice." But his medical training informs poems like "Torn." An undertaker, poet and essayist, Lynch is uniquely positioned to write about death and other crossings. "He Posits Certain Mysteries" begins, like Lynch's daily work does, with a body. The lawyer and law professor writes of composing arguments in his own defense in "I Pay the Price." Her poetry, like her journalism, reflects deep engagement with other cultures. This Iraq War veteran wrote "The Hurt Locker," which later inspired the title of the award-winning movie. For a longer exploration of the costs of war, see "2000 pounds." A market analyst, critic and prolific poet, Silliman is closely associated with language poetry. Read an excerpt of a long poem, "You," from an even longer series, Alphabet. across the black of the lab bench. Larson, it should come as no surprise, is a molecular biologist (and also the 2010 winner of the Yale Younger Poets prize). The poet Lawrence Joseph, who has spent 37 years as a lawyer and law professor, describes the insertion of a poet's "regular" work into his or her writing as a migration of identity: "It certainly is not the only 'self' in my work, but I've wanted, since my first book, to let the reader know that the poet writing the poem is, among his other identities, also a lawyer." As Joseph suggests, the appearance of a day job in a poem is much like the introduction of, say, a poet's familial or relationship status: All involve the projection of a role. When we read many of Sylvia Plath's poems, we're asked to view her not just as poet but as mother and spouse — just as Brian Turner's book of war poems, Here, Bullet, asks us to read him as both poet and soldier. It's interesting, though, how seldom this kind of overt migration works in reverse. C. Dale Young is the poetry editor of the New England Review and a full-time radiation oncologist. Although medical subjects do occasionally appear in his poems, poetry plays little if any role in his work life. "I don't talk about poetry [at work]," Young writes, "much like I do not talk about myself. It isn't about me. It is about them, the patients." Young is undoubtedly right to feel this way — we want doctors to tell us about our health, not their sonnets — and yet sometimes poetry finds a way into our lives in ways we don't notice. Monica Youn, an attorney at the Brennan Center for Justice at the NYU School of Law, was an NPR NewsPoet last year. She points out that "poetic techniques show up in law more often than one would think — repetition, cadence, metaphor. Just no one thinks of them as poetry." And, of course, the poet with a day job always runs the risk of having her poetry introduced into her "normal" life whether she likes it or not. "One opponent arrived at a hostile deposition," according to Youn, "and sneered, 'I've read your poems online,' apparently in an attempt to psych me out. It didn't work." In the end, the poet who writes lines between meetings or surgeries is a reminder that the ways in which we value poetry can be very different from the ways in which we value poets themselves. As Philip Larkin put it at the very end of his career, "The only thing that does strike me as odd, looking back, is that what society has been willing to pay me for is being a librarian."